ABOUT | EBONY JOY WILKINS, Ph.D. is an English professor and writer. Ebony’s education research centers on African American children’s literature and written responses. Her stories aim to highlight marginalized voices. 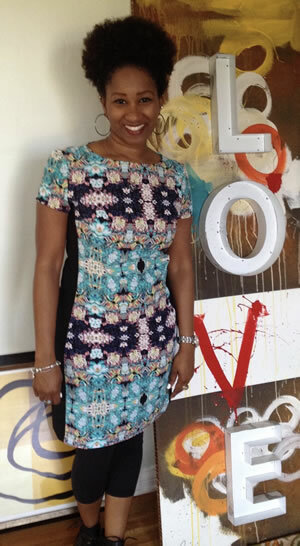 EBONY JOY WILKINS, Ph.D. is an English professor and writer. Ebony’s education research centers on African American children’s literature and written responses. Her stories aim to highlight marginalized voices. 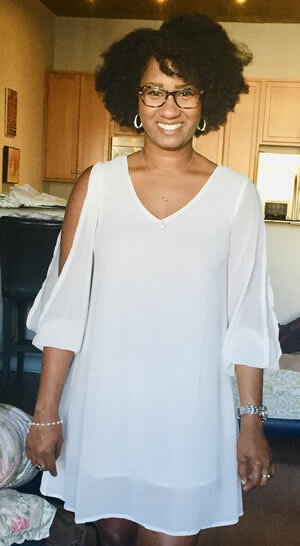 When she isn’t writing or teaching, Ebony spends her free time playing tennis, practicing yoga, traveling, and visiting with friends and family. She currently resides in Chicago. SELLOUT is not the worst name Ebony Wilkins heard in school, but the word did inspire her first novel for young adults. 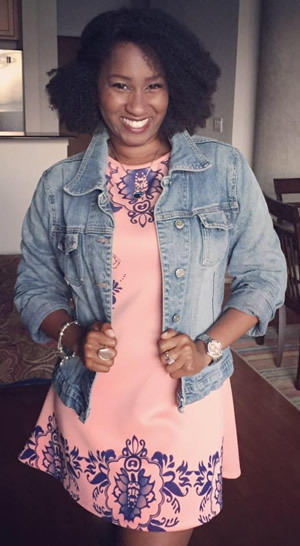 She spent her teenage years exploring words, her college years reporting words as an entertainment and education reporter, and later years earning an MFA in writing for children from New School University. Ebony teaches composition, effective speaking, and children’s literature at a university in Chicago. In her free time, she enjoys reading near Lake Michigan, brunching on weekends, practicing yoga, visiting with family and friends, and traveling. • Is SELLOUT based on your life? There are a few similarities between NaTasha’s experience and my own, but this story is fiction. • When did you know you wanted to be a writer? My earliest memory of writing was elementary school. My dad bought a computer writing game for me when I was in fifth grade. I remember ‘writing’ mystery stories and then reading them for all of my friends. I’m pretty sure my parents still have a few copies of those early stories. • What are your favorite trips so far? I loved South Africa! I’ve been twice and hope to return again someday. Montreal, Dubai and Costa Rica were enjoyable as well. • Do you have any pets? Not currently, but I had three fish in college that I cared for deeply. I made sure the water was clean, the temp in the tank was perfect, and I fed them breakfast, lunch, and dinner every day. So, all you fish lovers can guess what happened to them…I was devastated. • What weird thing do you do that no one knows about? I was never very good in math class, but I count everything now…the number of tiles on the floor, the number of steps it takes me to get to the train station, etc. I also have a habit of doodling. • What experience have you had that would surprise us? I marched in the All-American Marching Band at Purdue University in the flute and piccolo section. I wore the uniform proudly, and even got to bang the Big Bass Drum, which stands over ten feet tall! Boiler Up! • What are you working on now? I am working on biographies for Malcolm X, Beyoncé, and Rosa Parks. Coming soon! • What is your sign? Aquarius -my birthday is January 22. I am the oldest child in the family and the only girl. I have wonderful parents, three amazingly talented younger brothers, an adorable niece, and a large extended family. • Where are you from? I am originally from Evanston, Illinois. Since then, I’ve also lived in Indianapolis, IN, Midland, MI, and NYC. • What are some of your favorites? SPORTS: tennis, gymnastics and college football FOOD: Seafood, and rice & beans COLORS: Purple, rose gold & black MUSIC: R&B, Neo-Soul, and Gospel SEASON: Fall TIME OF DAY: Early evening DESSERTS: All! BOOK: the last one I’ve read TV SERIES: GoT and Homeland. • Do you write everyday? NO. But I think about writing every day. I do make a million to-do lists with things that I want to add to my stories. I also read every single day. I probably finish three-four books each month, sometimes more.